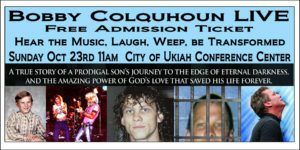 Please join us at the Ukiah Valley Conference Center in Ukiah, CA, just two hours north of San Francisco on Highway 101. 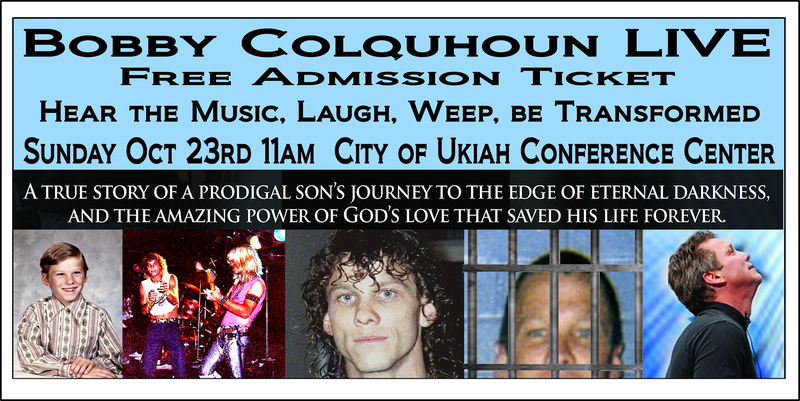 Come share the witness and the music of Bobby Colquhoun. Admission is FREE.